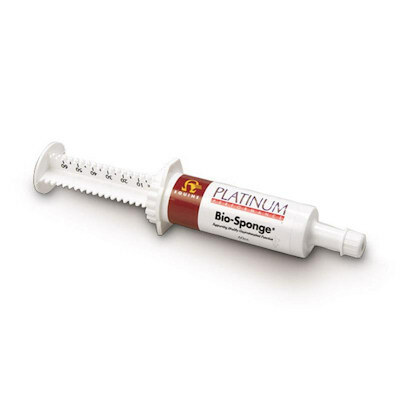 Bio-Sponge, internal protectant paste (60 cc multi dose tube) designed to help support healthy intestinal function, a probiotic with substantial capacity to absorb toxins, viruses and bacterias. Orally give newborn foals 30 ml paste(1/2 tube) six hours after the first nursing. Repeat twice daily for six days. Also used on adult horses to combat intestinal disturbances.